New owner thinks a new moniker could be "fresh"
Tavern on the Green remains one of the country’s most lucrative independent restaurants. 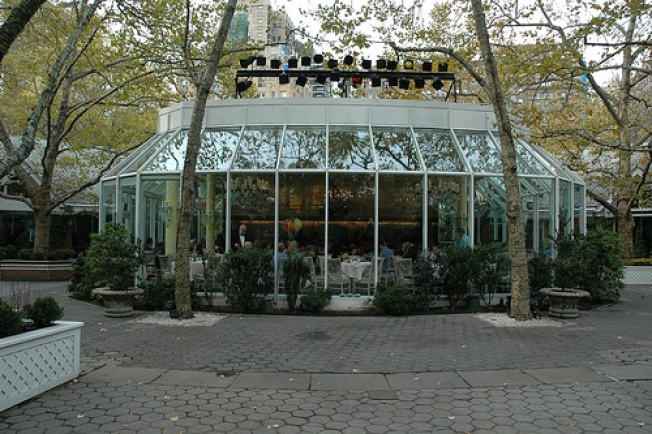 The new manager of Central Park's Tavern on the Green restaurant might not keep the decades-old, world famous moniker. Restaurateur Dean Poll said that while the name "has history," a new one would be "fresh." It also could cost him a lot of money to use the old one. Even though the city's parks department named Poll as manager of the restaurant on Friday, previous operator Jennifer LeRoy still controls the name. LeRoy spokeswoman Shelley Clark says the name "has a future." The LeRoys also own manage a Tavern on the Green in Florida. Poll takes over the restaurant on Jan. 1. In his proposal, he said he would invest $25 million, and renovate using green technology. The original building dates to the 19th century. It initially housed sheep.